Number 20 on my 27 List was ‘Move into a 1 bed flat with Ben’ or in other words, move out of Tottenham Hale. Ben and I have lived here in North London for about three years now, and for about two of those I have talked about moving somewhere else. My reasons for wanting to move have always boiled down to the area. 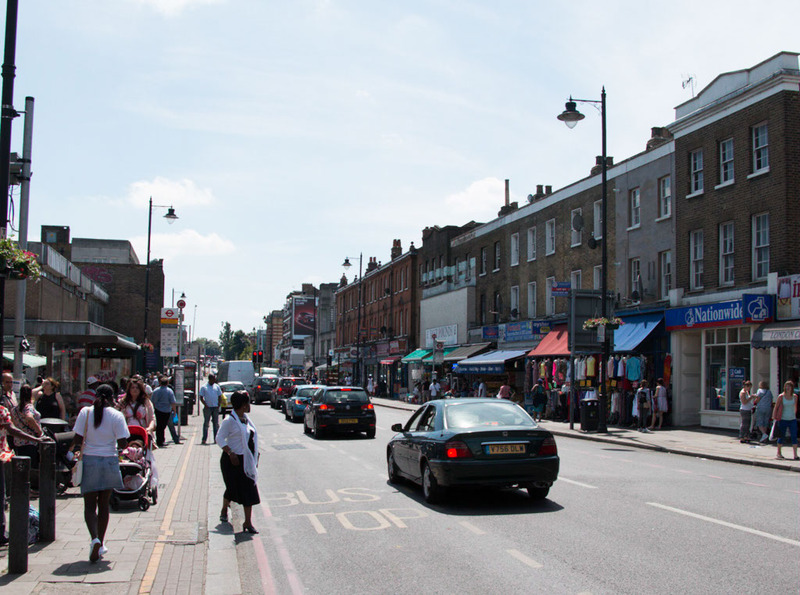 I can’t imagine Tottenham has ever had a particularly good reputation; it’s rough and ready, like most of North London, but being the area that triggered the London Riots in 2011 made it infamous and quite intimidating – we haven’t had many visitors up here. To add to that, a lot of the facilities are run down; the high streets in the area boast an inordinate amount of chicken shops; there are places where I definitely won’t venture to at night; but the biggest shortfall for me has always been the lack of local pubs, cafés or parks that we felt comfortable hanging out in. I have talked and talked about making a move. Thinking about where we might want to go and when to do it for two years. That’s a long time and super boring. To all my friends who have been listening for the past two years to me umming and ahhing and flipping between definitely moving and definitely not, I apologise. But I have finally come to a decision: No, we’re not moving, we’re staying in Tottenham. Tottenham has grown on us. We’re slowly getting to know our little community here and finding places we love and people we can chat to. Recently things have been changing here too and it seems, for better or worse, regeneration is coming to Tottenham. 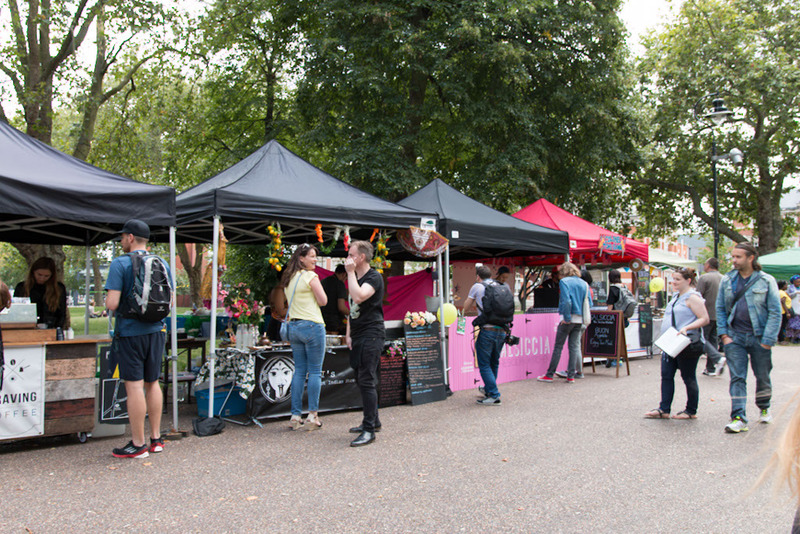 Market days, cleaned up parks and social areas, craft breweries, pop up bars and coffee shops are springing up everywhere and the streets are looking brighter. The local council is spending a lot of time and money developing Tottenham and we’re definitely getting the benefits. 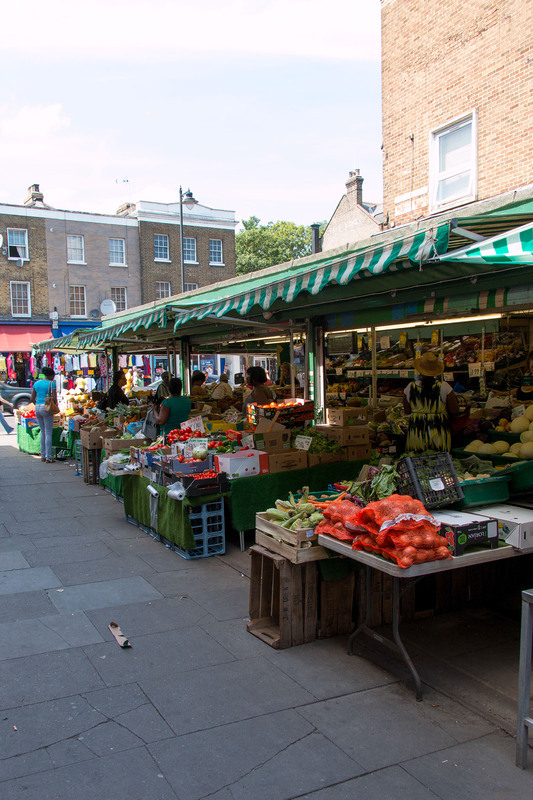 Here are a few things I’m loving about Tottenham right now, I’m hoping it will convince you to come and visit. 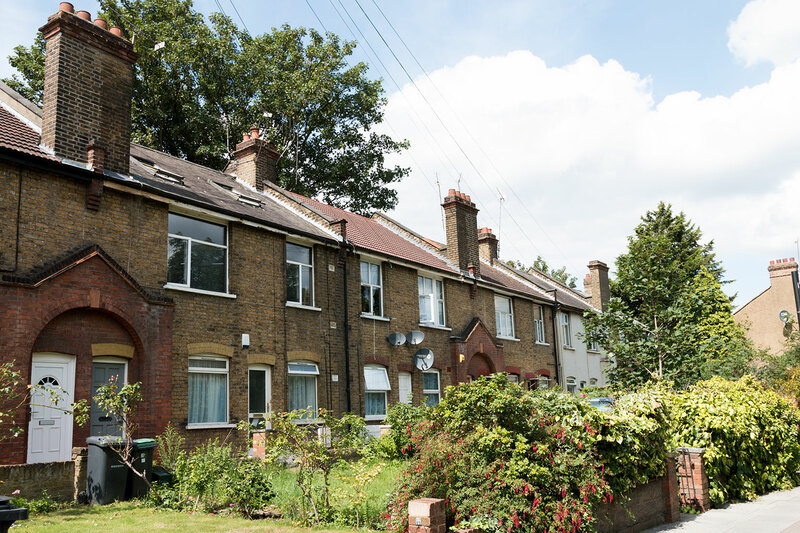 Our Place: We rent the top floor of a two bedroom flat about 10 minutes walk from the underground station. It’s pretty spacious, for London, the rent doesn’t break the bank and it’s really warm in winter. In fact, I think it’s the warmest house I’ve ever lived in, for that reason alone I may never leave. The Victoria Line: We are so well-connected in Tottenham. We have 3 overground stations nearby, a huge bus network and the holy grail…. 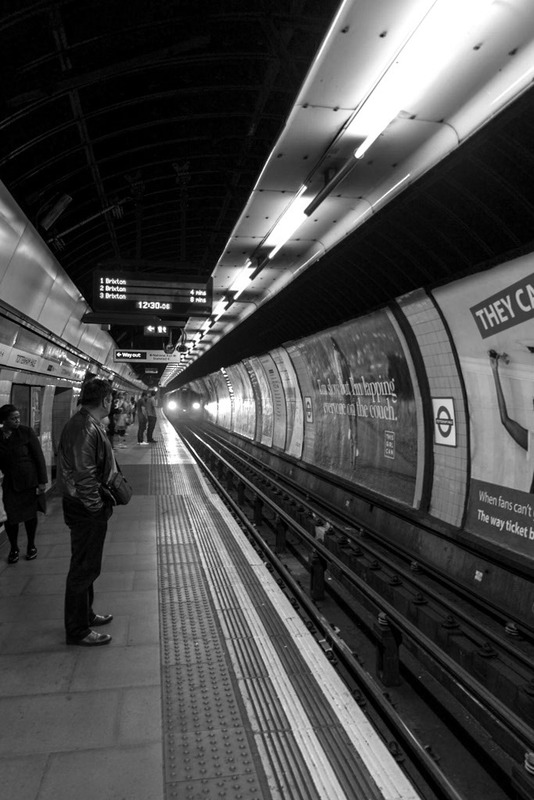 We live on the best tube line in London. The High Road: Where you chose to live not only affects your rent outgoing, it effects your lifestyle costs too. I like that Lidl, Asda, Iceland and Aldi supermarkets are all within walking distance and they’re soooo cheap! Even after three years here I am still astounded by the amount of groceries I can pick up at Lidl for under £10. 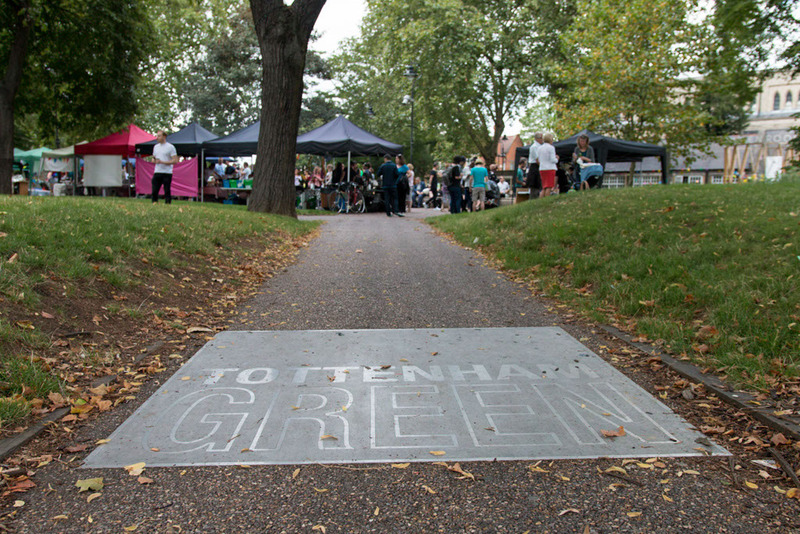 The Tottenham Green Market: Every Saturday in the summer we have been able to wander down to our local market and sit in the sun eating some awesome street food fare. 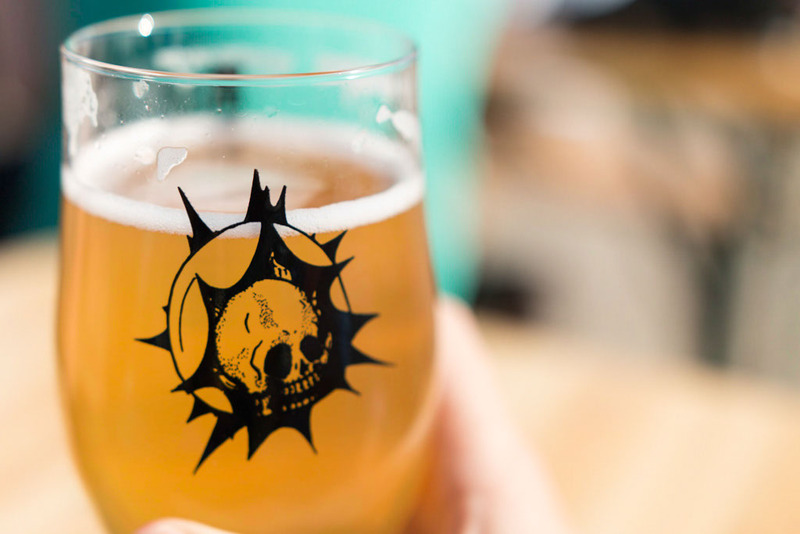 Beavertown Brewery Tap Room Saturdays: As the name suggests, on Saturdays this local craft brewer opens its doors and serves its extensive range of beers to the masses. Well maybe not masses, but it was surprising how many people make the trip out to this random little haven in the middle of an industrial estate. Watch out though – these beers are strong. 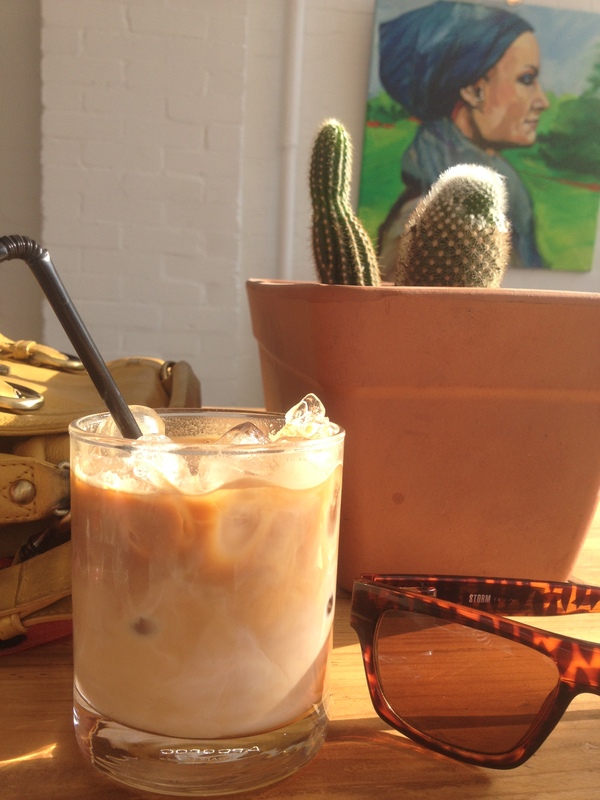 Craving Coffee: I’m not a fan of coffee, but one sunny afternoon I forewent my usual chai tea latte and tried their iced coffee and I have never looked back. It’s milky, sweet and perfect for a non-coffee drinkers and coffee lovers alike. These guys also hold Tottenham Social events on Friday night with street food stalls and cocktails, I plan on spending a Friday evening there very soon. The Beehive: A change of ownership has put this pub right up there on my ‘local loves’ list. 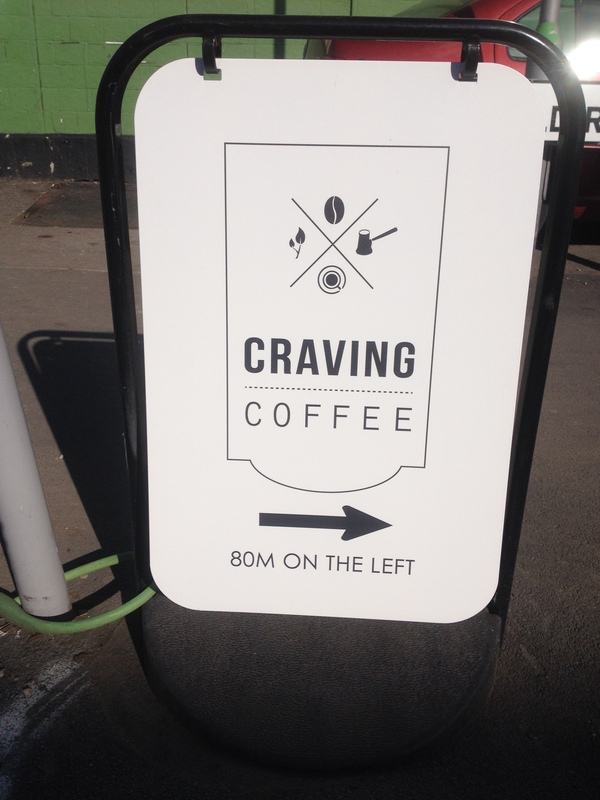 It’s right around the corner, has an awesome beer garden, pool tables and heaps of space to relax. 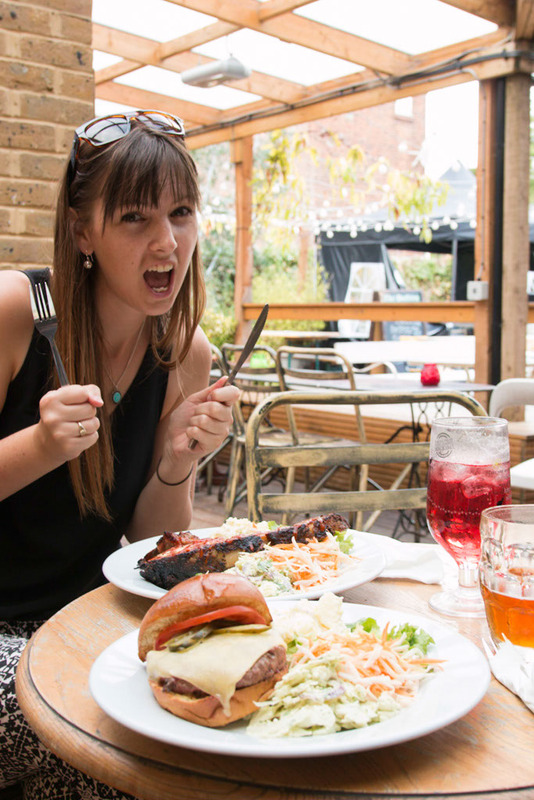 Oh and this pic shows me about to tuck into ‘The Tomahawk’ a huge, smokey BBQ pork chop, it’s going to be hard to stay away on lazy Sunday nights. So this is Tottenham right now for me, I’m doing so much of the exploring I was too timid to do when I first moved here. Sure I do walk down Upper Street in Islington and wistfully imagine us living in a lovely one bed just off the high road, but the reality is, I don’t think I could ever justify paying those prices in rent. Tottenham works much better for us and our priorities. So how about paying us a visit? 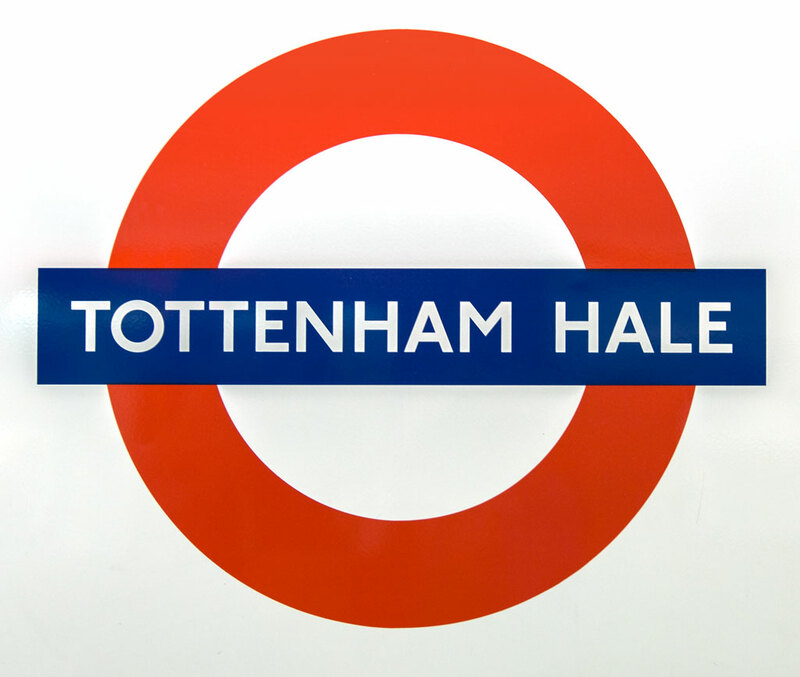 This entry was posted in 27 while 27....., Growing Up and tagged 27 List, Guide to Tottenham Hale, living in North London, living in Tottenham Hale, making big decisions, Tottenham Hale by andieinspired. Bookmark the permalink. Awesome post once again Andie – hopefully the rejuvenation of Tottenham Hale continues! So do you guys have your own place yet or still got a flatmate? Cheers Ange. We’re living with a friend from home right now and his gf, both 3D artists.. it’s a lot of shop talk around here.